I must have conducted thousands of weddings in my time. I have no idea what percentage of the marriages proved successful. I cherish the hope that many couples stayed together and worked out any problems they had in the light of the pre-marriage classes which my wife and I conducted over so many decades. Amongst the issues we discussed on these occasions were what sort of home the couple should choose to have. Our advice was of course to decide on a kosher home. We marshalled an impressive set of arguments. We said the kosher home was good for Jewish identity, good for the community, good for the capacity to turn every meal into a chosen commitment. We brought all the love and logic we possessed to make the case for kosher. When people needed practical guidance, we gave it both in words and by example. Here too I have no statistics to measure how many couples made a difference to their lives and their dining-rooms as the result of our advocacy. We were helped by the growing interest in the subject all over the Jewish world and the easier availability of kosher commodities. 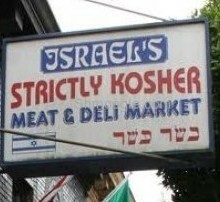 Actually it’s not only amongst Jewish people that keeping kosher has become fashionable, but amongst non-Jews. In the USA in particular, countless non-Jewish families consciously go looking for kashrut symbols on the food they buy (they share the belief that “man is what he eats”), and one way or another the phenomenon has spread globally. Has kashrut saved any Jewish marriage from disintegration? I’m convinced it has: kashrut says, as do so many other aspects of Jewish living, that shared values, shared disciplines, shared aspirations, all strengthen the marriage and the home.